Economic growth of the countries is being driven by a number of factors including technological progress. Information and communication technologies (ICT) contribute to reshaping many aspects of the world’s economies, governments and societies. Although the digital revolution is a global phenomenon, there are still huge disparities between and within countries when it comes to the penetration, affordability, and performance of ICT services. The penetration level of mobile communication in Azerbaijan is 106 percent and about 80 percent of the country’s population accounts for Internet users. Azerbaijan views ICT sector as a priority direction in the state’s future and is recognized as the leader on the South Caucasus in terms of ICT development. The nation ranked 65th place among 176 countries in the development of ICT, according to the International Telecommunication Union's (ITU) report. A number of international meetings, conferences and exhibitions devoted to ICT sector take place in Azerbaijan annually. All this positively affects deepening of cooperation between different countries in ICT. During the latest visit of Iran’s Minister for ICT Mohammad Javad Azeri Jahromi on December 5 who came to participate in the Bakutel 2017 exhibition, a platform to gather the world's major companies in the capital, the Islamic Republic expressed interest to cooperate with Azerbaijan in ICT sphere. The minister said that there are several directions of cooperation between Iran and Azerbaijan and interaction in transit of internet traffic from south of Iran to Azerbaijan onward in the northern direction -- to Russia -- represent one of them. He also specified that the two countries cooperate in the field of cyber security, as well as in postal service and e-government. The postal operators of the two countries inked relevant agreements and set up transit of postal deliveries. Today Azerbaijan is turning into a regional transit center both in logistics and information exchange. The interconnected terrestrial cable networks running through the region are of high importance for the countries' connectivity. Examples include the TAE line, the Europe-Persian Express Gateway (EPEG) and the Trans-Eurasian Information Superhighway (TASIM), all of which involve Azerbaijan. 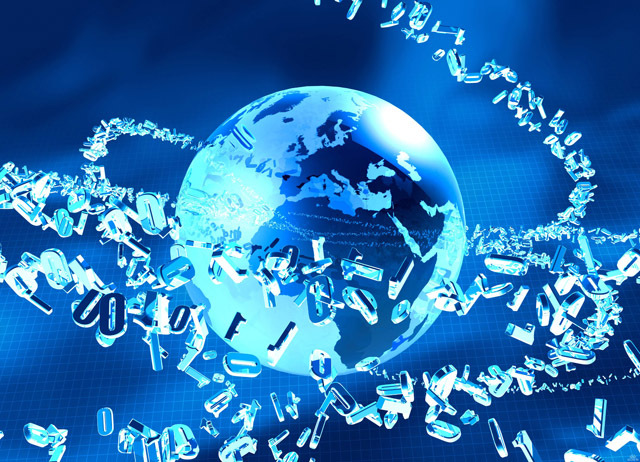 The Trans-Eurasian Information Super Highway (TASIM) project, which aims to connect the biggest data exchange centers of Europe and Asia, was lately discussed within the framework of the meeting of IT ministers of the Economic Cooperation Organization. The implementation of the project is expected to improve Internet quality and ensure economic development not only in the participating countries, but throughout Eurasia. During 2017, the TASIM project was discussed in meetings with the embassies of Russia, China, Turkey and Kazakhstan in April aimed at accelerating the negotiations on the project, during a regular meeting of the working group and other various formats. TASIM, which is a key infrastructure for the development of Eastern Europe and Central Asia, is expected to give significant contribution in diversifying the routes of Europe-Asia data flow and to improve connectivity in Central Asian landlocked countries. The project was officially proposed in November 2008, during the Azerbaijan International Telecommunication and Information Technologies Exhibition and Conference. When the UN General Assembly adopted the Resolution on Transnational Eurasian Information Super Highway (A/Res/64/186), the project received its first political recognition at global level. The project is implemented in two stages. During the first stage, key regional operators are expected to build major transit and transport infrastructures within their national territories. In the second stage, TASIM will provide with broadband connection at affordable rates final users in the Eurasian landlocked countries, including Central Asia, by using the new transit infrastructure. Russia (Rostelecom), Kazakhstan (KazTransCom), Turkey (TurkTelecom) and China (China Telecom) are also involved in TASIM project. Azerbaijan is represented in the project by AzInTelecom Ltd of the Ministry of Communications and High Technologies. Azerbaijan continues to take consistent steps for further development of the ICT sphere. A strategy for the development of information and communication technologies for 2018-2021 was prepared in Azerbaijan, according to the concept and forecast indicators of economic and social development for 2018 and the next three years. It is based on the national strategy for development of information society in Azerbaijan for 2014-2020, which envisages the formation of an effective mechanism to carry out reforms for the future development of industry. The medium-term priority direction of ICT industry’s development will be the improvement of governance structures and strengthening of the ICT industry, the liberalization of telecommunications market, the continuation of work to expand e-services, the formation of e-government, a unified national information environment and the country’s integration into the global information society.